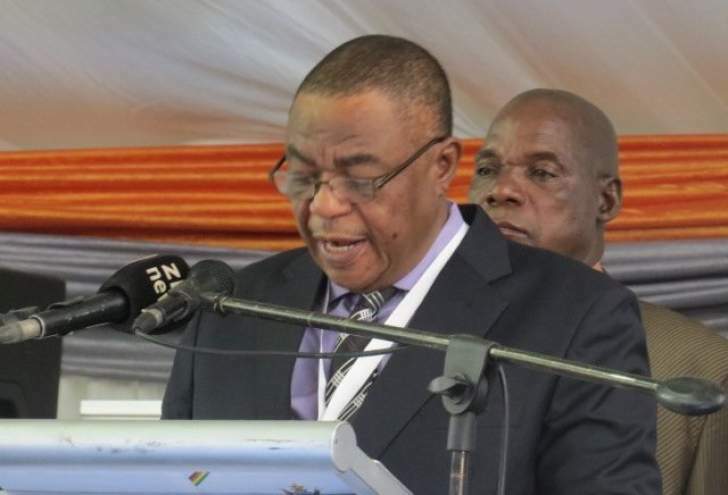 Vice President Constantino Chiwenga has denounced independent Guruve South aspiring Member of Parliament Wilbert Mubaiwa for using president Emmerson Mnangagwa's image in his campaigns. Addressing thousands of party supporters at Ruyamuro Business Centre today (Tuesday) Chiwenga labelled Mubaiwa a thief. "We hear there is an independent candidate who is abusing our presidential candidate's picture that is serious theft and he is proving to be a dog, " thundered Chiwenga. Chiwenga endorsed Guruve South legislator Patrick Dutiro, Guruve North aspiring Member of Parliament Girovha Dzepasi and Mbire legislator Douglas Karoro as Zanu PF 2018 candidates to run on the 30 July election. Mubaiwa told Bulawayo24.com that it is astonishing to note that Zanu-PF is selecting votes when he is actually campaigning for them. "In my entire life l have never heard of a party that forbids a person to vote for them. " " These guys insult me daily when l am actually campaigning for them, that is very astonishing," said Mubaiwa. Zanu-PF have tried to drum up support for their Guruve South candidate Patrick Dutiro who has the blessing of the Minister of Lands and today had the blessing of Chiwenga. Dutiro will battle it out with Mubaiwa who has faced a backlash from Zanu PF top brass for allegedly using their president's image. Karoro had the blessing of the first lady Auxillia Mnangagwa who facilitated many projects in his area there by giving him a better chance of clinching the seat again.